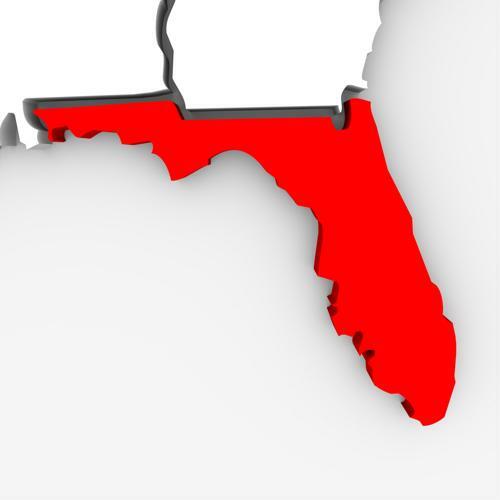 With so many population centers in and near Florida, it's small wonder that the Sunshine State - and in particular its northern and central regions - is now a burgeoning logistics industry. That growth includes construction and expansion of a number of warehousing operations in particular, creating potentially thousands of jobs for Floridians to take that companies need to fill. At Imeson International Industrial Park in North Jacksonville, a warehouse measuring some 480,000 square feet is close to breaking ground, and appears to be a massive operation in its nascent form, according to the Jacksonville Daily Record. Documents submitted to the city government show the facility will be home to 102 loading bays, 337 normal-size parking spaces and 133 spaces for tractor trailers. Altogether, it's believed that the warehouse will create as many as 200 ongoing jobs, though no tenant has yet been formally announced for the building, which is being put up by a development company in Orlando, the report said. This comes at a time when the developer is also building an addition on an existing warehouse it owns in the Jacksonville region, which will boost the area of the property to nearly 324,000 square feet. Meanwhile, about two hours down Interstate 75 in Ocala, the Ocala/Marion County Commerce Park recently agreed to a deal with a developer to sell 46 acres of land, on which the latter company will build a warehouse - also entirely on speculation - measuring some 600,000 square feet, according to the Ocala Star Banner. This will create another good-sized warehousing operation to match those of FedEx, AutoZone and Chewy.com, which are already in the business park. The cost of the land and the construction itself is expected to come to about $43 million, and the developer believes that whatever business ends up occupying the space will be able to provide roughly 165 full-time jobs there, the report said. As a result of this project, only about 20 acres of undeveloped land exist in the business park. Finally, the home retailer Furniture Warehouse - based in Tamarac, Florida, near Miami - is expanding into the central part of the state, with a new warehouse, distribution center and showroom planned for Ocoee, near Orlando, according to the Orlando Business Journal. The showroom was the first aspect of this project to be completed, measuring 85,000 square feet and opening in early November. That comes in addition to a warehouse measuring more than 246,000 square feet in a larger industrial and office park. The company first signed a 10-year lease for the space back in March 2018, the report said. "Orlando's dynamic business scene has been on our radar screen for several years," City Furniture CEO Keith Koenig told the publication in a prepared statement. "Now, with three great sites and a thriving economy, we're moving quickly to build market presence and to be active in the local community." When companies are looking to hire in relatively small areas such as this, it's important that they offer their employees not only good pay, but also strong benefits packages on an ongoing basis.